In my last post I mentioned that part of a Hierophant experience can be the business of looking at our prejudices. Plainly speaking it sometimes is seeing our stinky stuff - in others and in ourselves. Some of my mentors haven't always told me what I've wanted to hear. 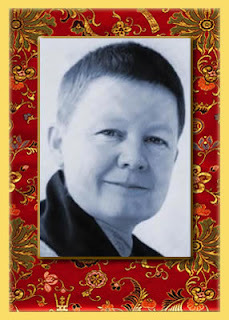 Pema Chodron (seen left), is another of my favorite authors who makes me think and dig. I've posted a clip here before of her. These clips talk about the value of things that wake us up. Sometimes growth is bumpy. I have an old friend that calls these experiences; "the burr under the saddle that wakes up the horse". The Hierophant is a card that often gets a bad rap. I've seen many interpretations that seem to give it negative associations or that seem to suggest it's better when the card is reversed. I have come to understand it as a symbol of things that are necessary and useful. The more I have come to work with Tarot as a tool for inner work and not just as a vehicle for "fortune telling", the more I have come to see that the Major Arcana are tools, pathways of experience and "file headings" for consciousness. These symbols relate to experiences that are vital in our lives and can be positive or negative depending on how we are working with them. In a reading, I have to pay attention not just to the card but what it comes up in relation to with other symbols and also what I am receiving intuitively. The Majors are less about actual circumstances but more the lessons that are running through them. They can provide a lot of insight into what is behind what is going on or what we can draw on to get through things. Often a Major card can show the roles we are playing, projecting, or that we are seeing others take on in our experience. I think part of the negativity people attach to this card in it's traditional Rider Waite symbolism (see above), is the idea of fixed dogma and the pope like illustration. I've had my own healing journey with this symbol and have come to deeply appreciate it. 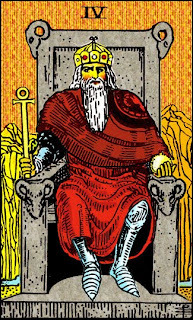 Generally, The Hierophant in a reading is an indicator of a person's underlying belief system coming into conscious view. We all have these patterns of belief. They influence (positively and negatively) how we are moving through life. An unhealthy Hierophant aspect would be things like unexamined knee jerk prejudices. I will admit I have had to look at these things in myself. Oddly in some instances where I was fearing judgement of others before I had had a chance to know them better. Looking at some of these old wounds and defenses was (and is) part of the Hierophant path. In order to work out these things I had to seek out experience from others. I had to find some positive Hierophants! In group work and in personal examination, as well as accessing therapeutic resources, I found that the responsible people (what some would call elders or in some instances people "of the cloth", some without formal title) I came into contact with had some structure in themselves and also in how they were prepared to be helpful. I remember one mentor in a support group had some guidelines. He shared that to get the best results of what we were doing a little discipline went a long way. Simple things like respecting one another, sharing in turn, being prepared for the work we were doing, were not meant to be confining rules but things that made us feel comfortable and to know we were really getting somewhere. Another resource I went to for a time (that was very helpful) suggested early on that I have some concrete objectives. He said " I don't want you to be here indefinitely" I appreciated that - partly as this was a resource that I was paying for. I have seen some people stay in some therapeutic loops for a long time that could have moved on had they not had a crutch. I also had to find authors and people whose life experience could give me some guidelines. One that I refer to quite often is C.S. Lewis (seen left). 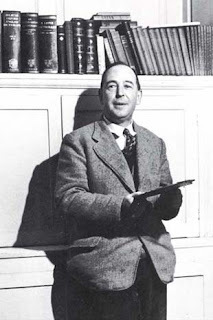 I was always a big fan of the Narnia books and as I read more and more his writing on religion and theology I came to appreciate him more. He is a Christian and he helped me reclaim some very important things from that area of knowledge and my family background. One thing that really hit home to me was from a book of quotations ( I think the original source was his book "Mere Christianity") where he wrote about spirituality being every one's right to make their journey as they chose. Well I liked that, it validated some things. But he went on to say something that made me squirm and think and do some digging. He went on to say that to be journeying and to ignore that others have made similar journeys and have left us maps is arrogant. Well that smarted, which is sometimes exactly what a Hierophant experience is SUPPOSED to do! It made me realise that I had been just as prejudice to some areas of belief as I had felt they might be to me. this was a profound turning point and the Hierophant in me began to become a bit less childish and reactionary and (just a wee bit) better behaved. Further to C.S. Lewis's map analogy; he also said just looking at maps is not the same as having a journey. Just quoting religious or spiritual stuff (and maybe burning a little incense) is not going to get me very far, just as reading "Joy of Cooking" is not going to magically give me chocolate cake. I've been in some study groups that dissect and dissect things but don't get far. That's been a lesson on the journey too. Personally, I don't always do well in some structured settings. There have been some areas of group work where I have had to confront my own distrust, resistance and bull-headedness. Some teachers I have developed respectful relationships with, some I have been a jerk to, some weren't my cup of tea and some I respect although their path has not been mine or was a path that wove along mine for a limited time. These ALL were positive (but not all of them easy) experiences. As I came to build some relationships with some really cool people on differing faith paths, I have seen a great reduction of my fears of authority figures. I can respect without being either a sheep or a rebel. I have also had the privilege of doing a little mentoring. Like some who taught me, this is more about wanting to build a peer relationship with the person where they are an equal not a follower. There is a Buddhist saying; "If you meet the Buddha on the road of life, shoot him". This sounds horrid at first, but what it means (roughly) is that others show us their Buddha nature and we must respect that, but we must also find within us our own. To make someone else that (for me anyway) is dangerous. We all have "feet of clay". Here is another thing: As I came to see the Hierophant less as a pulpit pounding persecutor and more as a voice of conscience, I came to have a different appreciation of personal morality. The very word "moral" at one time used to make me cringe. I had reacted to it as part of that old defensiveness. 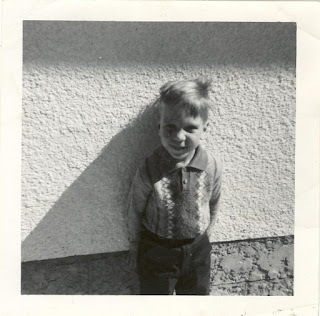 What it means to me now is really what it meant to me as a small and trusting child; the moral of the story. What I trust and believe as a result of experience, my own and other people's. It has given me back a sense of faith that is both stronger and gentler at the same time. In the actual study of Tarot for instance, I have had to see where there is a common structure, commonly held associations of the symbols. In short there are systems and rules, same as learning grammar (and that sentence wasn't perfect)! A person has a perfect right to create any kind of deck they like but some (as far as my opinionated hierophant is concerned) should not be called Tarot! So you see, there is my Hierophant and also the Hierophantic aspect of the Tarot itself! 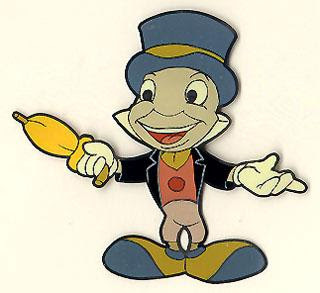 Maybe if I was to choose a personal iconic image for the Hierophant it would be a picture of Jiminy Cricket, the little voice of conscience I need to listen to. Sometimes when I'm in a challenging situation, I can look at what an elder I respect would do, OR I could look at what I would advocate for someone with less experience than myself. Sometimes having a kid brother or sister along has made me listen more to my conscience than if it was just about my egocentric little idea of ME. I should mention too that the Hierophant is often more associated with some traditional things like marriage than say The Lovers card. It isn't necessarily traditional in the sense of what a church or government would dictate. 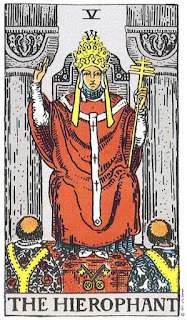 Ive seen the Hierophant refer to commitments that weren't necessarily traditional and Ive also seen some "traditional" relationships that didn't have much true commitment (consequently the Hierophant would be ill-aspected there). It has to do with the moral aspect. Did you know that most dictionaries define commitment as "to morally and emotionally agree"? It's like agreeing on the rules before you play, or having a design before you build, all stuff that can be part of healthy Hierophant work. It means you are on a good level of understanding in terms of one another's beliefs and integrity. 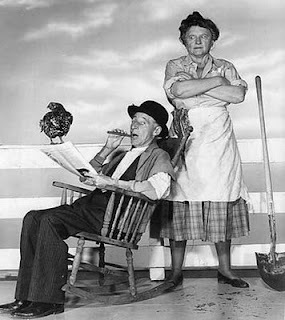 Ma and Pa - from "triarchal" to "ternal"
You might not remember these characters to the left, Ma and Pa Kettle. I just had to throw them in because I am talking about the "Ma and Pa" of the tarot, and I just love this picture and it's an excuse to share it! Our relationships with the archetypes in Tarot change over time, both individually and as a culture. Some cards can seem to elicit a positive or negative response that I notice in people collectively, I also notice how that can change. More importantly we can become conscious agents of that change. The Empress and The Emperor are two such symbols. 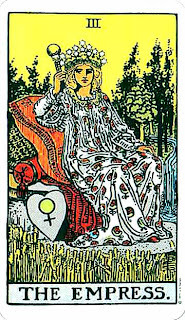 People generally relate to the Empress as maternal energy, nurture and nature, as a matter of fact she is generally depicted AS Mother Nature. The Emperor is often related to as patriarchal energy....notice something there? Most people tend to see what the empress represents as a more internal energy hence "maternal" (where is the reference to matriarchal?) whereas the emperor is seen as something external (the often bashed patriarchal) rather than paternal sense of it. He gets associated with structure, bureaucracy, authority of a more autocratic nature. Much as these applications have some validity they are not the only uses of the symbols. We are moving into a time where the world is having to learn more about Matriarchal systems. This isn't about Feminism necessarily, it is about a different sort of need and resource based way of operating. Did you know that elephants are matriarchal? They are usually lead as a herd by a mother elephant. When there is a limit to resources she has one of her daughters lead off another herd. At the same time they instinctively gather together in times of mating, protection and will adopt one an other's young. Pretty much what we as a culture are having to re-learn. At the same time we have lost the paternal. The patriarchal is often seen as a remote and hard ruler. I had a young woman come into my office with a t-shirt that said "%*#@ the Patriarchy". I must admit I gave it a bit of a glare because she blushed and said "oh I don't mean you". I would venture to say that a lot of what we see today is the negative aspects of patriarchy and in order for that to heal and change we need to re-connect with the paternal. Many of us grew up with absent fathers, we have learned to distrust the archetype and out of necessity we are having to reclaim it. We hear a lot about maternal instinct. I believe there is such a thing as paternal instinct too. I have had to go to some great lengths to heal this element in my own life, partly with my actual father before he died and also in the work I have shared in with other men that I have grown to trust and respect. 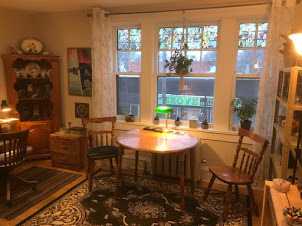 I have some reference points in my home and office that remind me of what gentle, strong and responsible father energy is about. 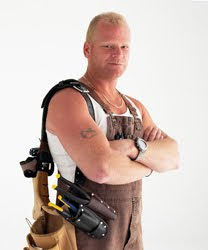 One well known person who comes to mind that I think of in terms of healthy paternal energy is Mike Holmes. His motto of "do it right" and his desire to help people comes from his strong sense of paternal instinct passed down from father to son. I have had to seek out the mentoring and guidance of paternal figures in my life. I've had to forgive the figures that have "feet of clay" and have had to let myself in on the same understanding. We are all works in progress. The more I give myself positive reference points the easier it is to grow in that direction. I may fall short but I can know I'm headed in the right direction. In readings I can see the positive AND negative aspects of both of these signals. There's places where some structures that Emperor represents can work in a healthy way. I was reading for someone who was having work problems and the Emperor indicated a human resources or a union area they could turn to. Systems aren't perfect but there are sometimes places where systems can do a lot for us and we can, in turn, participate in evolving those systems. Empress too can alternately have her dark side (she's not all sweetness and light) . Sometimes she can indicate the necessity of tough love. Sometimes Mother Nature fights back. Nurture has to evolve or it becomes toxic. Weening off dependencies can sometimes be called for when the Empress is present in a difficult way. Working with the archetypes, coming to recognize them and see them in ourselves and others is a big part of what I use Tarot for. I have had some people ask about the layout I work with as it is slightly unusual. I had been working with a standard Celtic Cross layout, probably the most widely used, for a great many years. It is similar to the layout on the left except that the last four cards are placed on a line to the right of the first six (hence the "Cross" part of it's name). One day my hands just insisted on placing the last four cards in the corners of the cross, counter clockwise, and I have done it that way ever since. The more I have worked with this layout the more I have come to have my own associations and attributions and they continue to evolve. I do still (to a degree) register the old interpretations of Celtic Cross positioning but this layout and my overall approach is much more free form. For me, reading has become less and less about memorizing interpretation but rather what I have to learn in the doing. In the ten card layout that I work with I am often particularly paying attention to the balance of elements that come up. As I've mentioned in previous posts it's a lot like lifting the hood and looking at how an engine is running. I have learned to pay attention not only to what comes up but sometimes what is a "conspicuous absence". Generally a healthy balance would have some aspects of all four suits being present. If there is an absence of suit entirely I have to look at the other cards for some indication of that absence needing to be addressed or not. A profusion of wands and pentacles with no cups present could be an indication of work and security taking precedence over personal relationships. It would depend a lot on the other cards present. This may not be a concern if the other indicators (including major arcana cards) are positive. An absence of pentacles is not a bad sign, it doesn't mean "no money", on the contrary it could mean that material issues are not of primary concern. Sometimes no news on a particular front can be good news. On the downside an absence of pentacles with strife indicators could suggest a need to pay attention to issues of self worth, values and security. Perhaps the most conspicuous absence would be where no swords are present. This can sometimes indicate a pleasant reprieve from stress or perhaps the person has "used them up" for a while. If the other cards suggest a recovery taking place emotionally mentally or physically this would back that up. At the same time an absence of swords with a profusion of difficulties in the other suits could indicate a lack of decisiveness, poor (or non existent) boundaries. No suit is good or bad in itself. Again a healthy balance is preferable. I also notice (sometimes unconsciously, like a reflex) when a suit is absent other than a court card. If there are no base elements of the suit (Ace through Ten) but a court card, it may be an indication of someone who could play a key role, positively or negatively in the otherwise absent element. This is also why aces play a very big part in my readings when they come up. They are often signs of realization, the commencement of a new cycle of the element's energy and a new perception of the other signs surrounding them. an ace is a reminder of the inner tools we have to work with and can change the focus to a more pro-active level. There is often signs of what is both producing this realization as well as it's effect. As I was saying, these interpretations are often working on an intuitive level. Influencing my perception sometimes directly, sometimes not. I don't tend to get into the technical side too much in the reading itself but it does work with the message I'm delivering, sometimes when needed it provides me a with a visual image to what I am already picking up intuitively. Robert Wang (one of my favorite authors, scholars and creators of tarot decks) in his book "Qabbalistic Tarot", talks at one point about how we come to work more over time with an internal deck. The physical cards themselves become secondary. I have found this to be so.